Voters in the Tar Heel State this week overwhelmingly approved a move to add a right to hunt and fish to their state constitution. The constitutional amendment was approved by more than 57 percent of voters on Tuesday, with more than 2 million in the state polling in favor of the proposal. The measure adds language protecting the right to hunt and fish to the North Carolina Constitution while establishing public harvest by sportsmen using “traditional methods” as the preferred method of wildlife management. The referendum reached voters by means of the state legislature this session with the passage of S.677 by a huge margin– with more than 80 percent of lawmakers signing on to support the bill. Similar measures have been advanced across the country, according to the National Conference of State Legislatures, with no less than 21 states adding such language in their constitution, dating back to Vermont who included it in 1777. Most recently, Indiana and Kansas both added it through the voter-driven amendment process in 2016. All of the states that border North Carolina have adopted such initiatives. The Congressional Sportsmen’s Foundation, the National Rifle Association, gun industry trade groups and Delta Waterfowl all testified to legislators in support of the North Carolina effort, arguing the traditional shooting sports are increasingly threatened. 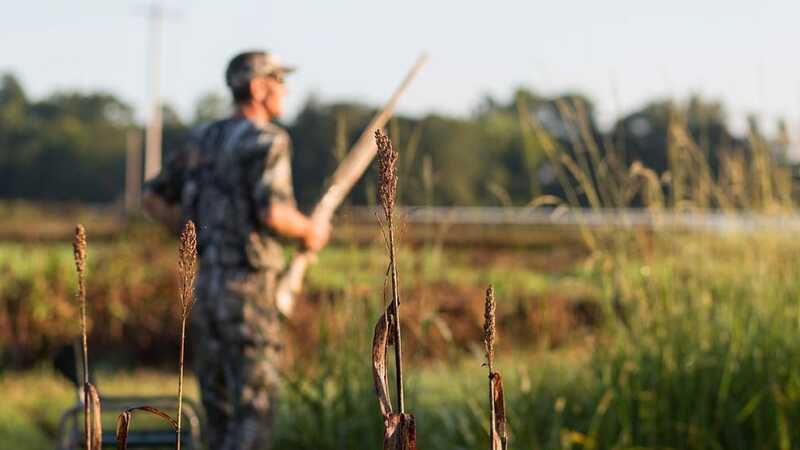 Statistics from the North Carolina Wildlife Resources Commission show as many as 570,000 hunters buy licenses every year in the state, with more than 20,000 completing hunter safety courses annually since 2011. Last season over 128,000 deer were harvested with firearms in the state. With some $2.3 billion pumped into the state economy by sportsmen, North Carolina received over $16.5 million of that back from the federal government in Pittman-Robertson funds this year based on sales of guns, ammunition and fishing tackle.